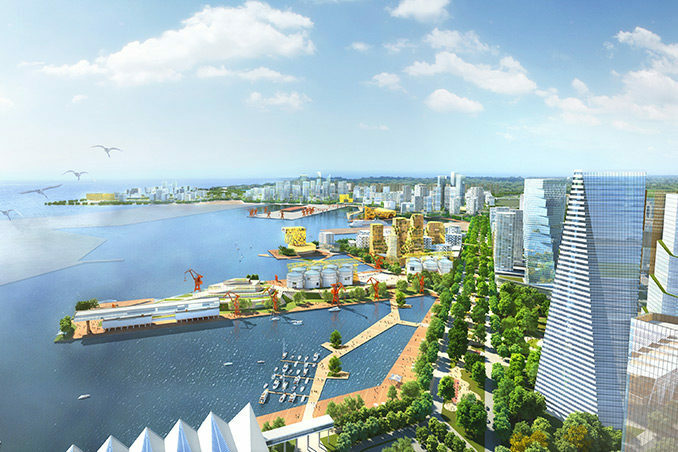 KCAP has won the competition for the International Cruise Port City masterplan in Qingdao, China. 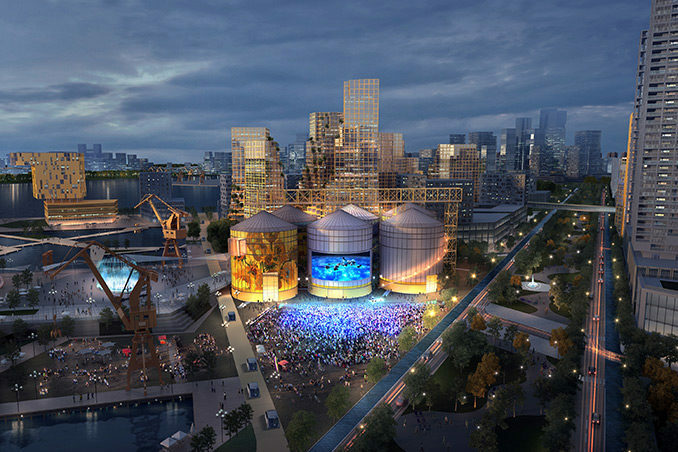 The masterplan provides Qingdao with a high-density mixed-use environment for living, working and cruise tourism and creates a new gateway for the whole region: Qingdao Green Bay. The plan respects, transforms and integrates the heritage of the former port and opens the area towards the historic city. 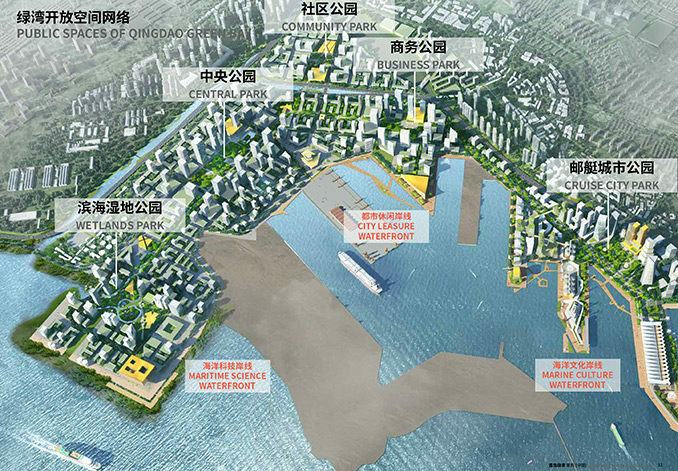 A strong public space framework is the driving force for the overall plan of the future Qingdao Cruise City. The Green Bay concept is based on the realisation of the 5 km Green Bay Boulevard. This powerful spatial identity is the backbone of all developments and links the existing city in the south-east to the big bay in the north. It is generously planned with green and urban spaces, water and trees, parks and squares. 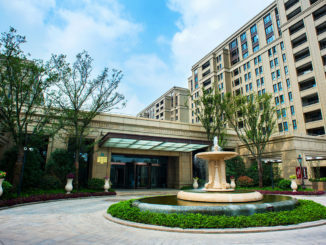 Along the Boulevard, five central nodes around a park accommodate transport hubs with dense and high-rise developments. From here, a framework for a liveable city unfolds combining walkability and charm with density, efficiency and sustainability. The existing harsh infrastructure and lost ecosystems will be transformed into a complex of repaired ecosystems and people friendly resilient urban structures. The design is based on an integrated, layered strategy that maximizes connectivity and ensures a strong and productive relationship with the existing city. KCAP will further elaborate the winning urban competition scheme after which the first phase urban and architectural design will follow.